• It’s your Saturday morning edition of The Purge and we’re kicking it off with ‘Sign Of The Times’, the debut solo single from former One Direction star Harry Styles. Co-penned alongside Jeff Bhasker, the track was delivered to digital music providers across the planet yesterday, ahead of a performance of new music next week on ‘Saturday Night Live’ in the US. According to his label Sony, the video for ‘Sign Of The Times’ will drop later this month. • Hot on the heels of the release of new single ‘Humble’, US superstar Kendrick Lamar will released his as-yet-untitled album this Friday. It’s available to pre-order now, features 14 tracks (you’ll get ‘Humble’ as the grat track) and will drop at 2pm Australian Eastern Standard time this Friday, April 14. • Melbourne duo Husky have confirmed that their new album ‘Punchbuzz’ will be released in early June. The ten tracker’s announcement comes off the back of a sold out tour across the East Coast and the drop of its lead single ‘Ghost’. “‘Ghost’ was part of a process of coming to terms with this half asleep, half awake, somewhere between the haunted past and the sunlit possibility of tomorrow,” the band explained. ‘Punchbuzz’ drops on June 02. 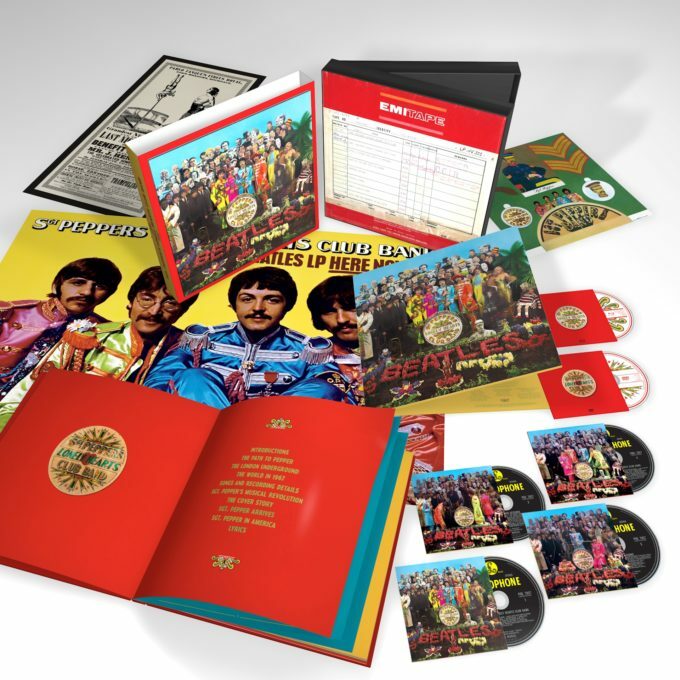 • Big news for fans of The Beatles, with news that EMI will be releasing standard, deluxe and superdeluxe editions of the band’s iconic album ‘Sgt. Pepper’s Lonely Hearts Club Band’ at the end of next month. The new versions celebrate the iconic LP’s 50th anniversary. The single disc edition features the new stereo mix of the LP. The deluxe version comprises two discs; the latter containing previously unreleased complete takes of the album’s 13 songs, among others. The super deluxe set, meantime, brings together six discs (pictured above), including Blu-Ray and DVD containing promotional films. All are out on Friday May 26. • The Big Pineapple Music Festival is officially sold out. Promoters confirmed yesterday that all tickets to the May 27 event at Woombye on Queensland’s Sunshine Coast have been exhausted; organiser Mark Pico saying, “We have been completely blown away by the interest in Big Pineapple Music Festival this year. Last year we sold out on the week of the show, so to sell out seven weeks earlier this year is just incredible. Thanks to everyone who has supported the event so far. We can’t wait to see you in May!” Birds Of Tokyo, The Veronicas, Safia, Peking Duk, Cloud Control, Harts and Vera Blue are among the acts scheduled to perform. • Now that Splendour In The Grass is fully sold out for 2017, those sideshow announcements came thick and fast yesterday. 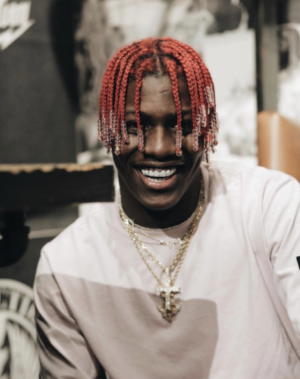 The first, however, from Live Nation, who revealed that Lil Yachty will play headline shows in Sydney, Melbourne and Perth as part of his Splendour visit. The US rap star’s first ever Australian headline dates will take over Luna Park Big Top in Sydney on July 20, the Prince Bandroom in Melbourne on July 22 and Metro City in Perth on July 23. Live Nation pre-sale tickets go live at midday this Monday April 10 before general public tickets hit the sales desk at 10am on Thursday April 13. • Banks will also play Splendour sideshows during her visit in late July. In support of her latest album ‘The Altar’, the British songstress will play the Astor Theatre in Perth on July 18, the Enmore Theatre in Sydney on July 23 and the Forum Theatre in Melbourne on July 25. Tickets are on sale from 10am this Thursday, April 13. • Queens Of The Stone Age have also confirmed Splendour sideshows; one-off dates in Sydney, Melbourne and (yes, you’re reading this right) Darwin. 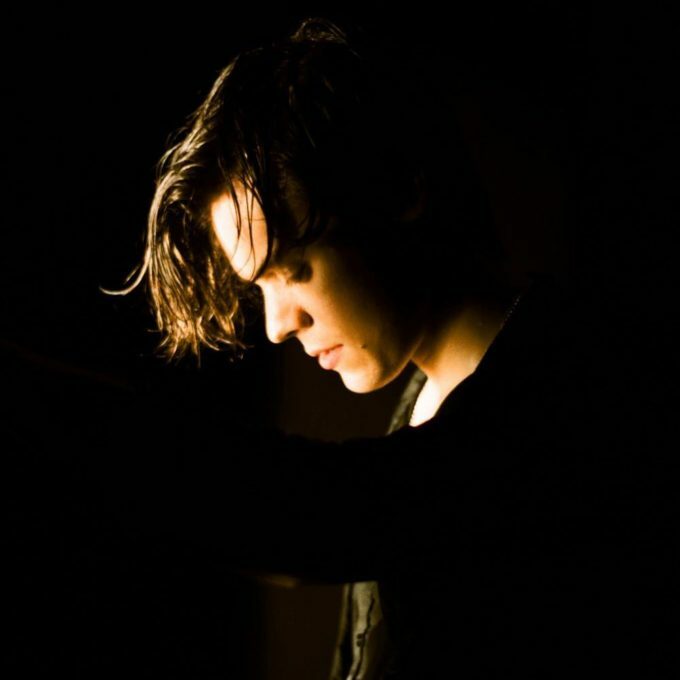 The run kicks off at the Darwin Convention Centre on July 16, heads to Hordern Pavilion in Sydney on July 19 and wraps in Melbourne at Festival Hall on July 20. Frontier pre-sale kicks off at 2pm on Monday ahead of general sales, which kick off at 10am local time on Wednesday April 12. • It’s now a huge 14 weeks on top of the UK singles chart for Ed Sheeran’s international smash ‘Shape Of You’ and, given it’s now been serviced to media as the third official single from his album ‘÷’, ‘Galway Girl’ (which is steady at No.2) could be the track to dethrone it. That said, Clean Bandit and Zara Larsson creep slowly up the countdown with ‘Symphony’ again this week (No.4 to No.3), swapping places with Drake’s ‘Passionfruit’. Like it’s doing Stateside this week (more about that below), Katy Perry’s ‘Chained To The Rhythm’ gets another breath of life (No.17 to No.11). The new Little Mix single ‘No More Sad Songs’ bullets from No.51 to No.17. 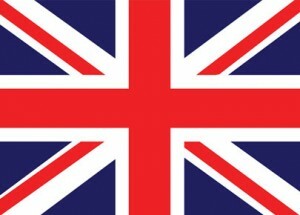 • And just who could be No.1 on the UK singles chart this week? Could it possibly… of course it’s Ed Sheeran and ‘÷’ again; No.1 for the fifth successive week, holding off Rag’N’Bone Man’s ‘Human’ on this occasion (No.4 to No.2). Drake’s steady at No.3, while Jamiroquai are making all the right noises with their new album ‘Automaton’, premiering at No.4. Take That’s ‘Wonderland’ is down from No.2 to No.5 and there are further top ten debuts from Goldfrapp (‘Silver Eye’ at No.6) and the new ‘KidzBop’ compilation (No.7). Mastodon’s ‘Emperor Of Sand’ just misses a top ten berth on entry. It’s new at No.11. • Ed Sheeran’s still flying the British flag atop the Billboard Hot 100 singles chart in the US this week. It’s been part of the countdown for 12 weeks and has been sitting pretty in pole position for the past nine of those. Bruno Mars maintains his No.2 heading with ‘That’s What I Like’, while The Chainsmokers and Coldplay begin to make some major inroads in the top ten, improving from No.7 to No.3 with ‘Something Just Like This’. Kyle’s ‘iSpy’ makes another big move, leaping from No.12 to No.5, but Zayn and Taylor Swift’s ‘I Don’t Wanna Live Forever’ takes a tumble, losing four places to No.7. It’s not done quite as well as her previous singles, but there’s been a lift for the latest Katy Perry single ‘Chained To The Rhythm’; it’s up from No.19 to No.13. • After knocking Ed Sheeran out of the No.1 position last week, Drake’s still shining at No.1 on the Billboard 200 albums chart with his new LP ‘More Life’. Naturally, Ed doesn’t go too far (maintaining at No.2), which leaves Trey Songz to premiere at No.3 with ‘Tremaine The Album’. Metallica’s ‘Hardwired… To Self-Destruct’ is back into the top ten with a bullet (No.19 to No.5), while Rick Ross’s ‘Rather You Than Me’ loses five places from last week’s No.3 debut. • That’s your lot for your Saturday morning edition of The Purge. But just a little reminder that we’ll be back tonight at 6pm AEST with all the juicy chart tidbits from back here at home. ARIA Chart Watch will be coming at you with new entries, big movers and all the latest certification updates. See you at six on the east coast.